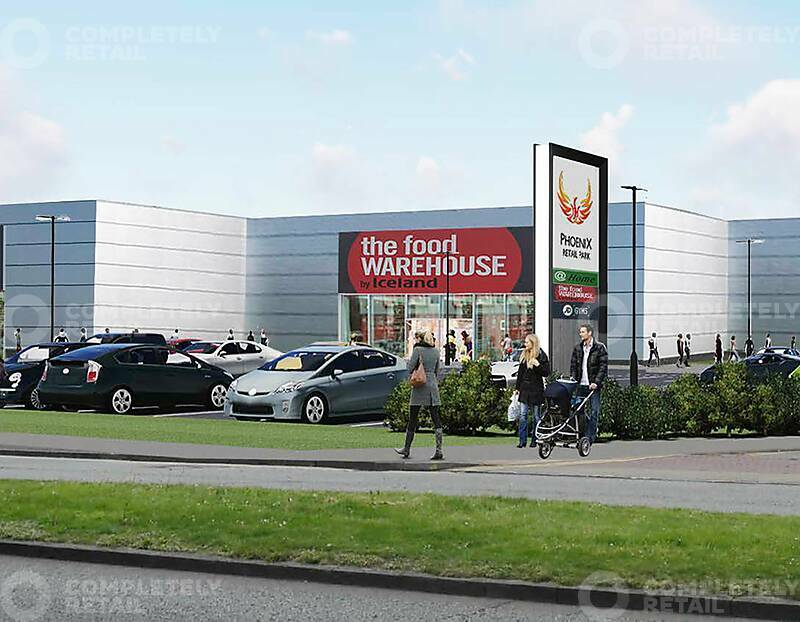 Phoenix Retail Park which extends to 80,000 sq ft will be fully refurbished with new external cladding and entrance features together with upgraded car park lighting. The units have enabled consents for full Mezzanines. The scheme is on Stafford Street (A449) one of the main arterial roads into the city from the M54 at the junction with Cannock Road (A460), some 500m from the city ring road and less than 1000m from Wolverhampton city centre. A1 – Open Non Food sales with up to 23,000 sq ft of food sales across units 1 to 3. 10 minute drive time population 111,885. 20 minute drive time population 462,185.